Strength training prepares our bodies to do the things we enjoy doing without injury. It is the foundation upon which all exercise and activity are built. Without strong muscles and joints we can’t perform – period. This article will examine the assessment questions prior to beginning an exercise program and provide a framework for developing a strength training program. 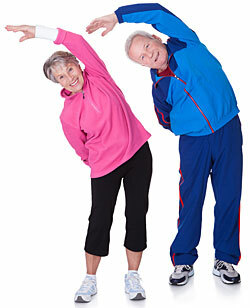 Medical and health issues are important to address prior to beginning an exercise program. Do you have a history of heart disease in your family? Do you have elevated cholesterol? Have experienced any dizziness or fainting? Do you have diabetes or any other chronic illness? 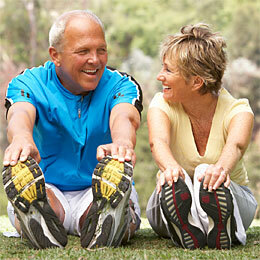 Do you have bone or joint problems? Do you smoke? Are you over 40? Are you currently taking prescriptions and if so what are they for? These are some of the “red flag” questions anyone over 40 – and who has been sedentary – needs to have addressed before beginning any exercise program in order to prevent problems from becoming emergencies. Any “yes” answer needs to be reviewed with someone other than a fitness professional before commencing with a strength conditioning – or any program. Strength training is what I call a foundational program. It creates the “platform” from which all fitness programs progress because it builds up the body’s ability to withstand the rigors of all types of activities that many of us enjoy on our time off from our jobs and careers. Strength training stabilizes the joints by increasing the body’s ability to support and protect them, increases bone density through increased loading during sets, improves posture by strengthening the spine, improves basal metabolic rate by increasing muscle mass (which burns more calories than fat), positively impacts “core strength” by improving the stabilizing muscles of the abdominal cavity, helps achieve weight loss goals, and finally, improves appearance by creating a toned and resilient body. That is a lot of result for 45 minutes of training 3 times per week! Note: This sample program is designed with a gym in mind where access to strength equipment is available. The design of strength training programs outside the traditional club environment is beyond the scope of this article due to variables such as the environment, equipment available, experience of the individual, specialized needs etc. Leg extension, leg curl, chest press, seated row, shoulder press, triceps extension, biceps curl, abdominal crunches, leg press or squats, incline chest press, lat pull down, seated or standing calf raises, lateral raise, and triceps press down. It is wise to periodically change the pattern of the program to insure the body is required to keep adjusting to the “training stimuli” being applied so as to help the muscle grow in response to the weight, sets and reps being applied. Depending upon your experience level 1-3 sets of 8-12 reps is appropriate with periodic changes in weight and/or reps to insure you give your muscles a chance to develop over time. Building strength requires us to stimulate the growth of muscle fibers (cells) and develop the ability of the muscle group to do more work over time. Adjusting the resistance could be as easy as doing twelve reps without difficulty and moving the weight up (marginally) until you again work your way back to “easy for 12 again”. Doing 8-12 exercises in this manner 2-3 times per week will help your body adjust to new levels of performance and allow you to do more of the activities you may want to do such as cycling, playing tennis, swimming, running, hiking, skiing etc. Exercises should progress from large to small muscle groups and your focus MUST always be on proper form (especially is using free weights), speed of movement, posture, breathing properly, and settings (machines). Being distracted by your phone is never a good idea when you are executing a strength training movement! Keep track of your results by writing down the date of the session, exercises done, the weight used, number of sets, and type of exercise equipment used so you can change up your program over time. This is a very helpful tool in achieving your fitness goals as it helps to keep you motivated. Allow 2-3 days for rest and recovery depending on the intensity of your efforts. A schedule that allows you to be flexible and dedicated to your purpose will help you stay on track over time. 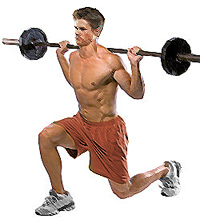 Strength training can keep us young, vital, and strong throughout all our years. It is the ONE thing that can provide visible results in 30 days and that makes for a winning formula. If everyone of us made an effort to “train for strength” three times a week we would all be healthier today. Find yourself a place to train today, set up a program for yourself (or seek help from a personal trainer for an hour or two), and start training today. You will be glad you did!